We have all the flies you need, from poppers to epoxy flies, rain bait to crustaceans. Our flies are proven to work and are handmade in america with the best materials. 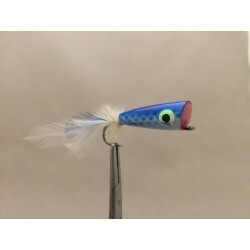 Remember we do custom flies. We can tie almost anything you want so ask if you don't see what your looking for. Salt Water There are 3 products. 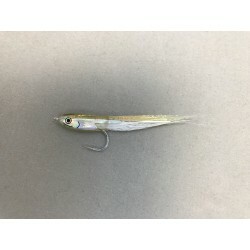 These Extra durable Epoxy flies are a perfect match for Bay Anchovy and other small rain bait style bait. 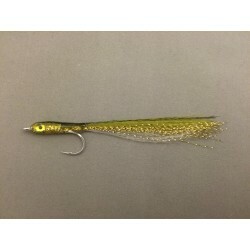 They will hold up against countless fish and offered in The most desired colors to always match the hatch. Nothing like fishing topwater with a fly! These hard foam poppers are tested and proven to attract fish. Painted in the most popular colors and epoxy covered to last.